How about a galvanized trash can with matching lid from Home Depot? Likely to work? Yes, should be perfect as long as there’s a good electrical seal. We’re writing a second article that mentions that, to be published in a few days. actually NO, not really. The bottom line is EMPs are a BROAD blast of enegry pulses accross a huge spectrum of EM frequencies. And its those frequencies that are the problem…..I’ll explain. I built a Faraday cage using a large steel ammo box INSIDE a large garbage can. The inside of BOTH cans where insulated with bubble wrap so the radios inside the cans couldn’t touch the sides of the cans. BOTH can were sealed with a layer of alumni mum foil between the lids and and cans and BOTH can lids were sealed with metal tape . I had inside the inner most can a FM radio, a cell phone, a shortwave radio and a GMRS radio. The FM, cell phone and SW radios were blocked from receiving any signals. HOWEVER, the GMRS STILL received signals. This was very disappointing especially since GMRS band is very low and not much power. Theoretically, my cans should have blocked all signals, but the did not, I had no gaps in insulation anywhere on the 2 cans so honestly my opinion now is, IN A REAL EMP WE ARE SCREWED. Maybe burrying them underground would be better, I dont know. All I know is, id DID EVERYTHING EVERYONE recommends to make a Faraday cage, and it failed. 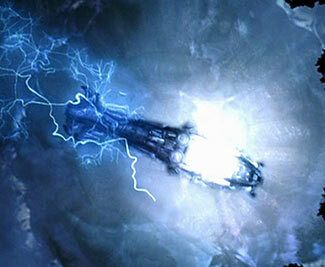 The thing about a Faraday cage is that it isn’t a 100% block. It reduces but doesn’t eliminate the passage of radio frequency energy into the cage. It doesn’t guarantee the safety of everything in side, but it sure does massively increase the chances. Think of it a bit like driving in a car with safety belts and air bags. You might still be killed in an extremely severe crash, but you’ve a much better chance of survival, and will get fewer injuries, if you do have a belt and bags than if you don’t. The good news is that two of your devices would no longer receive signals. As to why the GMRS still did, more data is required to answer that question, but I’ll wager it was not receiving a full 5 by 9 signal inside the double cage. Maybe – probably – the attenuation in signal it experienced would also be enough to prevent its circuitry being fried in an EMP event. Glad to hear metal ductwork will do; I’m always reading about how great those metal ammunition boxes are for this purpose, but since so many people have heard that, they tend to be pretty hard to find, at least for a fairly low price. I take it those metal Christmas cookie tins would also work, for smaller items. Does it make a difference if it is a round tin, or a square tin? For lining, I’ve heard the “egg crate” type foam rubber is good…what about bubble wrap, would that work? Finally, I know this would be a bit more difficult, but would it be possible to have a metal building that would work effectively as a Faraday cage? I’m thinking of something akin to a metal silo (grain type), or a shed whose walls & roof are made of that corrugated metal. Wondering, what one would have to do to make the outer part completely conductive, yet everything on the inside insulated…would being mounted on concrete blocks or piers mean that it is not grounded? I’ve seen a lot of metal sheds like that where I live. Yes, time flies when you’re ‘enjoying yourself’, doesn’t it. Hope all is well with you, too. The shape of a Faraday cage is very very mildly a factor, but for all intents and purposes, doesn’t really matter at all (smooth and round is better than sharp and spikey). Cookie tins are great, albeit small. Bubble wrap is fine as an insulating surface. I’m writing about making whole buildings as Faraday cages in a second article, probably coming out soon. Will a large gun safe sitting on a pallet work? That is a good idea, but two thoughts. First, make sure there is a good electrical connection between the door and the frame. I suspect that with many safes, the polish/varnish/paint would interfere with the electrical connection. Second, if you have any holes at all – ie for an electrical lead in to a de-humidifier, you’ll need to seal those. And third (yes, I know I promised only two!) – gun safes are awfully expensive! There are cheaper ways of creating a Faraday cage! A regular metal cabinet with good electrical seal on the doors would be just as good. It doesn’t need to be as strong as a safe. Something that doesn’t get mentioned is the continuing need for the Faraday cage after that initial EMP or Carrington Effect wave …. there’ll be follow-up waves of possibly even greater intensity …. you’ll be cracking open that Faraday cage to access your communication gear and then need to re-seal adequately for another possible wave …. Hi – I touch on one aspect of this in the second article I’m currently writing. But can you point to a source for your expectation that there will be follow-up waves of possibly even greater intensity? I’ve never seen that mentioned in any of my research (which is not to say it isn’t correct, perhaps I merely didn’t research thoroughly enough!). The closest I’ve found is the E3 pulse, which comes anywhere from 1 – 100 seconds after the E1 pulse, but which is orders of magnitude less powerful. I bought 2-30gal all metal garbage cans. I have lined the inside with two layers of heavy cardboard as an insulator. Of course, both of these cans have solid metal lids and they are both lined, but they make metal to metal contact all the way around the top of the cans. I have put 2 layers of 1 inch foam rubber in the bottom to keep anything from coming in contact with the metal. Will this work as a Faraday cage? Yup, those sound perfect. Well done. I totally disagree (with Stock, not you, Julie – sorry, this note appears as a reply to you, not him). But perhaps you could first explain why you believe that would be so. It is hard to disprove a ‘nothing’. Stock – Brilliant. You must be a rocket surgeon. Would metal amo cans be any good if paint taken off around the lid.